Tag Archive | "Paying For College"
As the busyness bubble continues to expand, finding ways to achieve the dream of a college education often requires creative uses of time, energy, and resources. No longer can colleges and universities expect future students to pursue the one-size-fits-all path to an education. More innovative delivery systems, especially online learning programs designed around one’s life and work, are now providing considerable access to degree completion. According to the IPEDS Data Center as reported in Inside Higher Education, 5.5 million students took at least one online course in fall 2012, and of those “2.6 million were enrolled fully online programs,” a fact that hasn’t gone unnoticed by the higher education community. 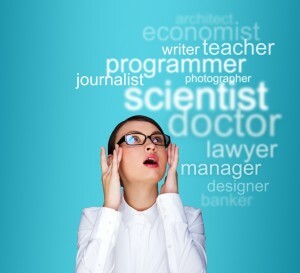 Whether a student’s goal is to finish a degree, begin from scratch or expand an area of professional expertise, higher education now finds itself continually re-imagining how to deliver an educational experience that meets and exceeds the expectations of students of all ages and backgrounds. Looking back, I realize my college experience was blessed with a relative lack of burdens. Naturally, I experienced the social and academic trials and trivialities most everyone will encounter. I was an athlete, wrote for the school paper and maintained a job or two, so I was definitely busy, but these responsibilities were more privilege than burden. Through a combination of scholarships, grants, earned income and parental support, I was able to graduate after four years at a private school less than $5,000 in debt. I didn’t entirely realize it at the time, but that is a quasi-miraculous outcome. As I said, I am overwhelmingly blessed, and have countless people to thank for their support. Anyone who makes it to college has hundreds of people to thank. No one does it alone. Some combination of teachers, parents, friends, haters and lovers help us along the way. Sometimes it’s the little things — a smile of encouragement, an extra hour of tutoring — that make the biggest difference. All those little moments add up and make a major impact on our lives. That being said, the big things still loom large. Tuition is one of those major barriers standing between many qualified students and the education they desire and deserve. I have friends whose path through college took six or more years — not because they were partying too much, not because they were in medical school, but because they were forced to sacrifice credit hours in exchange for clocking an hourly wage. Higher education is expensive, and isn’t getting any cheaper. A paper published by the American Council on Education shows that from 2006 to 2011, tuition at 4-year public universities rose 22 percent. Meanwhile, as of March 2012, student debt has nearly tripled over the past 8 years to a mind-boggling total of $1.1 trillion. Money should not stand in the way of deserving students seeking the knowledge and experience that will be the foundation for their lives. That foundation should not be sabotaged from the start by the overbearing weight of unnecessary debt. That is why I was so pleased to discover that there is quality assistance available to help students significantly reduce their tuition costs. In-State Angels is an organization started in 2011 to serve the needs of students at the University of Colorado-Boulder. It has since grown and now serves students going to almost 150 schools around the country. Their sole mission is to help students qualify for in-state tuition as soon as is legally possible. The difference between in-state and out-of-state tuition can be almost $10,000 per semester. With so much money at stake, the schools have made sure that the qualification process for in-state status is fraught with peril. The regulations are constantly shifting, and carry stiff penalties for any impropriety, be it purposeful or not. In-State Angels is an experienced navigator of these treacherous bureaucratic waters. They do everything they can — short of registering a student’s car in their new home state or getting him-or her dressed in the morning — to make the process smooth and simple. Significantly, personally-assigned Angels work for free until in-state status has been officially established and the student is already saving thousands of dollars per semester. These Angels provide a profoundly valuable service. By making tuition affordable where it previously was not, they are expanding educational opportunities for students, creating the opportunity for them to grow into debt-free graduates. College is a time of personal growth and transformation. Students don’t need any unnecessary stress added to their already burdened minds. It is hard enough to figure out how to pay for dinner, much less next semester’s tuition. That being the case, it is worthwhile to check with In-State Angels to see if you or a student you know is a good candidate for their services. It might save them (or you) a lot of money, and a lot of headache. It is my sincere desire for more students to graduate with less debt, and ISA is on a mission to see that happen. Seek them out, ask them questions, allow them to help. It never hurts to have Angels on your side. Today’s article comes from David McConaghay, a writer and professional enthusiast based in Boulder, Colorado. He supports In-State Angels based on his passionate belief that everyone deserves affordable access to higher education. You are invited to follow him on Twitter @DaveTelf. 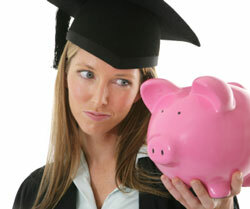 Entering into college can be stressful, especially when considering you financial situation. Unfortunately, there are a few things that can make financing your college career even more challenging. If you’re in any way dependent on your parents for your college tuition, then you’ve probably noticed by now that schools rely on a credit-check of your parents’ accounts. If your parents have, at any time, declared bankruptcy or are even in the midst of it, you’re probably worrying about your ability to pay for a college. Here are some things you’ll want to know about receiving grant money, your eligibility for government assistance and much more. Right off the bat, we’re going to put some of your fears to rest – you’re still eligible for grant money. The Bankruptcy Reform of 1994 ensures that you, as a student, can’t be denied federal grants because of your parents’ credit history. So, even if your parents have filed bankruptcy in the past or are undergoing the process at the time of your application, it won’t be held against you. Thankfully this reform also ensures that you can receive scholarships to further your education. To that end, you’ll be able to receive the same benefits as students who have parents with a clear credit history. Your parents can even set up payment plans so that your transition will be even smoother. The US Stafford Loan in particular is an example of a government loan which is always available to you regardless of your credit history. Unfortunately, there is at least one type of loan which is dependent on a good credit history from your parents. Only individuals with a clear credit history can apply for The Federal PLUS Loan. So what does this mean for you? If your parents are denied a Federal PLUS Loan, then you may actually be eligible for a larger unsubsidized government loan. This can even take effect within the first two years of college. Students who received larger unsubsidized loans in the first two years of college have been recorded as getting up to $4,000 more right away. It’s also been reported that you can receive up to $1,000 more (in addition to the first $4,000) for your last two years. If you have your heart set on a Federal PLUS Loan, you’ll need to find a cosigner with good credit. It’s important to note, however, that private schools have different regulations for the application process and the grants which go through their institution. Although the reform of 1994 applies across the board to federal student loans, it doesn’t apply to private school ones. Each private school retains the right to check your parents’ credit history through the past seven to ten years. Applying for financial aid can be challenging. The most important thing to remember is help is always available. Contact someone in your college’s financial aid department. The staff is well-informed about school policy and may even be able to help set you up with a payment plan or a loan that fits your situation best. 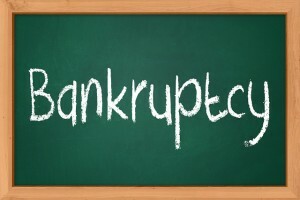 If your parents are considering bankruptcy, contact a bankruptcy lawyer right away. This law professional can give you additional information about how the process will affect your college education. Sometimes, it is beneficial to consider the timing of filing bankruptcy. Maybe your parents will want to wait until after you’re enrolled. Your education is important. Just because your parents may have had a rough spot with their credit doesn’t mean your education should have to suffer for it. The average student who takes out one or more student loans to pay for college ends up with about $26,000 in debt upon graduation, CNN reports. That’s a significant chunk of change for anyone, much less new grads who are just starting out in the world. In an effort to help students get the funding they need, Inside Higher Ed reports that President Obama is working to keep student aid programs level-funded, including boosting the amount that college students can get through the Pell Grant program. 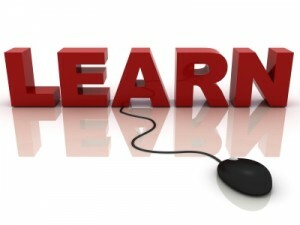 To learn more about the federal student aid programs available to you, click here! Some public colleges have placed a freeze on tuition. Iowa State schools and the University of California college systems have suggested keeping tuition amounts steady. In 2012, Antioch College in Yellow Spring, Ohio, offered students a full four-year scholarship if they enrolled in the next three years. To learn more about tuition freezes at U.S. schools, inquire at the financial aid office of the individual schools you are interested in. If you receive regular annuity or structured settlement payments, you may be able to sell these future payments for a lump sum of cash now. To find out more about selling your future payments, visit J.G. Wentworth. Look into crowdfunding to help raise money. For tips from students who have done so successfully, read this U.S News & World Report article. Instead of being locked into repaying a student loan at a certain amount for a specified length of time, college students may want to research an income-driven repayment loan. This type of loan lets graduates limit the amount they pay back each month to a certain percentage of their income. As a bonus, graduates who go on to work in certain public service careers may be able to have their loans dismissed, after they’ve paid on it for 10 years. Click here for more information on student loan forgiveness programs. The high expenses that come with college education can get both students and their parents overwhelmed. Fortunately, financial aid can be obtained in the form of loans, grants and scholarships to cover tuition, board, books, transportation and other living expenses either partially or in full. Still, there are policies that affect your ability to access such aid, and there are also those which have significant impact on the terms of repayment. It is therefore important to understand these rules to be able to make the most of the available opportunities. Regardless of your financial situation or credit score, you can qualify for a federal student loan. Congress determines the rates and limits for these loans, meaning they are not impacted by any particular measures of risk, hence making them more reachable to everyone. When it comes to such loans however, undergraduates generally get lower rates whereas their graduate counterparts can borrow higher amounts. Further, students who cannot afford to fund their college education may receive subsidized loans where the government pays the interest to ensure that at the point of graduation, the student owes the exact amount they borrowed. In general, federal government loans accrue lower interests compared to private ones. With the changes that were made with regard to PLUS loans in 2013 though, borrowers are set to pay even lower interests over the long term. The rates will take the same direction as the financial markets and lock in for the entire duration of the loan rather than change every year. Brought down from 6.8 percent, a 3.86 percent rate currently applies to undergraduate loans while graduates need to pay 5.41 percent down from 7.9 percent. If you ever have a hard time settling up your college debt, there are rules that will help you repay it and enable you to avoid default. Through rehabilitation, borrowers will be able to make nine affordable, on-time monthly payments and qualify for further financial assistance while avoiding a default on their credit report. Also as a borrower, if you have been delinquent for nine months as a minimum, you will be able to orally request forbearance to postpone your payments and evade default. However, this will only apply to federal student loans and none of those which are privately obtained. Thanks to the Health care and Education Reconciliation Act, any student who gets enrolled into college from this year henceforth will handle reduced monthly payments while paying off their loans. The deductions made from their income will be no more than 10 percent. Also, if you choose to join the public service upon graduation, your outstanding debt will be forgiven after 10 years while other borrowers will have theirs absolved after a 20 year period. Some students erroneously believe that they shouldn’t request for financial aid until they have made it to their desired college. However, working on the FAFSA papers can actually be advantageous when done at the point of application. Also, even though some people think that only needy students can access financial aid, this isn’t accurate. Regardless of whether they are needy or not, students with good grades, outstanding athletic capabilities or other talents can access the resources as well. Many factors impact your entitlement to a student loan. However, being unable to qualify one year doesn’t automatically disqualify you the next year. 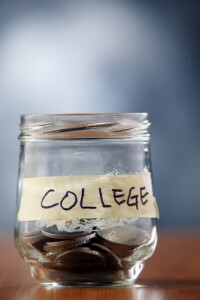 Having a sibling enroll into college or other changes on the financial situation of your family for instance, may work to your advantage and enable you to access the financial aid you need. 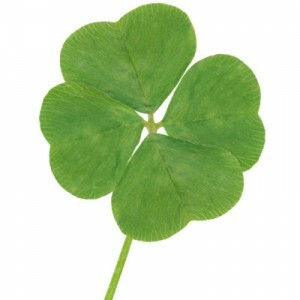 Therefore, even when you think you may not be eligible, you should aim to apply for financial aid every year. Today’s guest article comes from Ryan Ayers, a writer who creates informative articles in relation to education. In this article, he describe educational policies affecting students and aims to encourage further study through Masters in Public Administration Programs.